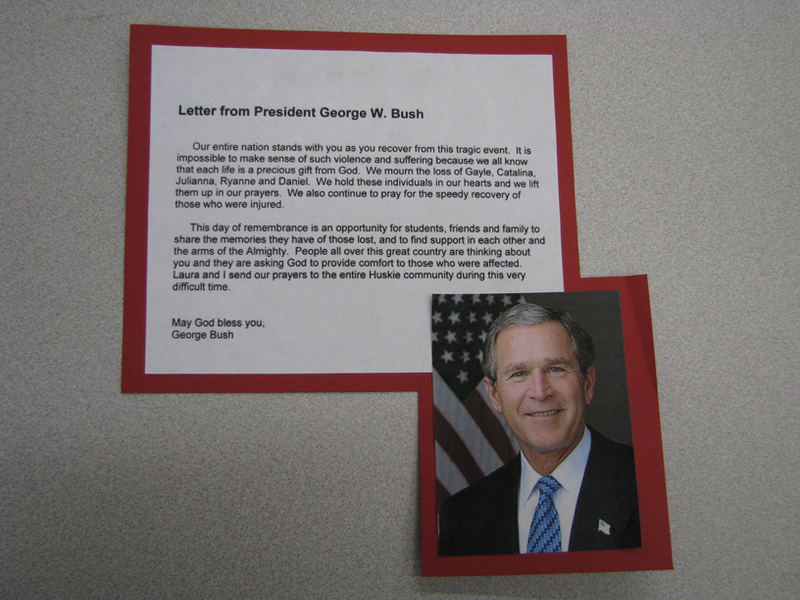 Copy of letter from President George W. Bush with a photo of the president, both on red background. Item was on display at the 2/14 Memorial Center in the Holmes Student Center. Size: 8.5" wide by 9" tall.